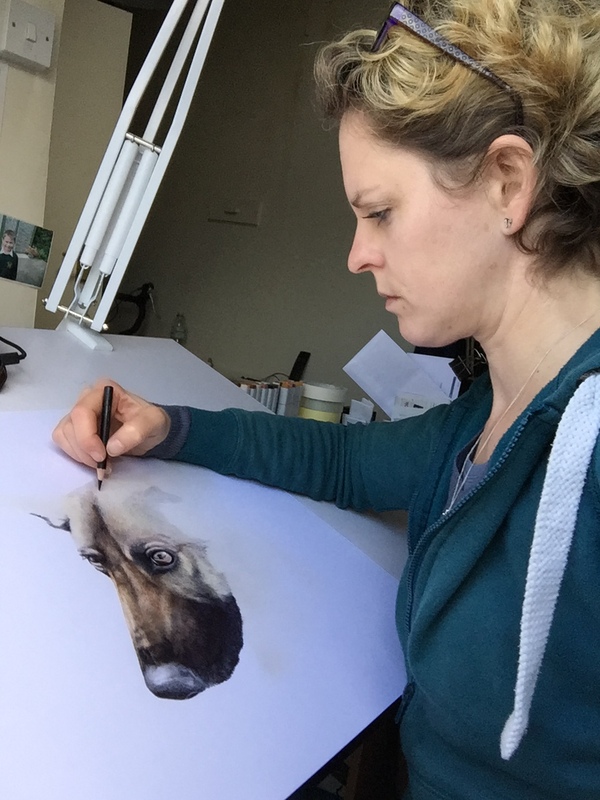 My name is Niki Firmin and I am a pet portrait artist. I live in Ripon, moving here from Poole in Dorset 18 years ago. Art has always been a passion for me, having drawn for as long as I can remember. After bringing up my family and years of people telling me to, I finally decided, at the beginning of 2015, to really focus on my art and try to make my passion into a career. I pushed my work out on social media first. Twitter, in particular, has been really good for me. I have been absolutely thrilled with the response I have received from people seeing my work. In addition, several pieces have been created to help raise much needed funds for animal related charities, most notably the Greyhound Trust. Other charities I’ve been privileged & delighted to help include cancer research and local fundraisers. I feel really proud to be able to use my skills to help benefit others, be it human or animal. The medium I use is biro which causes a great deal of fascination. Many people find it hard to believe you can achieve such results from such an ordinary, everyday implement. I also use coloured pencils, another very underrated medium. So if you would like a portrait of your own beloved pet or maybe a gift for someone else of theirs please get in touch to discuss your requirements.